The design of any office space is very important as it affects productivity. People who are comfortable where they work tend to get a lot more done. Workers who are not comfortable can often have trouble focussing as they really just want to be somewhere else. 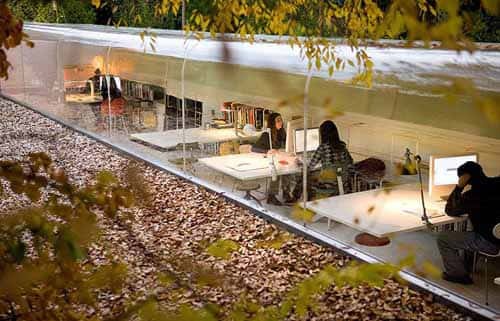 Here are some of the coolest office spaces around. ^^ Wow, this design is truly amazing. This office is located in Madrid, Spain by Selgas Cano architecture. Instead of destroying the natural area they have decided to work with nature to create this superb workspace. 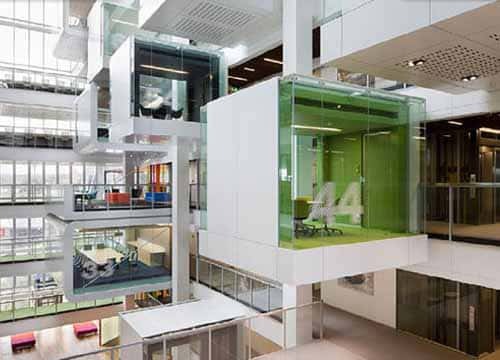 ^^ This is the Macquarie Investment Bank located in Sydney, Australia, A wonderful use of space that is open and airy. No more being stuck in a dreary windowless cubicle! 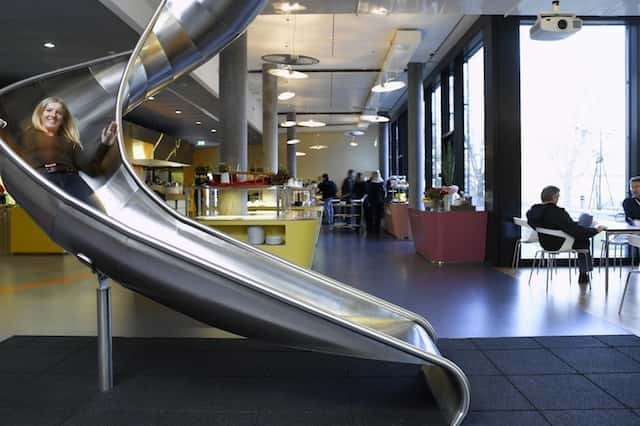 ^^ This is Googles Zurich office. This is one of the coolest offices around. There is an amazing cafeteria where employees can eat for free three times a day, an aquarium and a library. I love the slide, a great way to get around and so much fun! ^^ This is the thing garden, it is in Milan, Italy. The whole office is designed to reflect nature including stone shaped bean bags and a putting green in the reception area.